Gemstone Pendant featuring jasper with characteristic banding in beige. 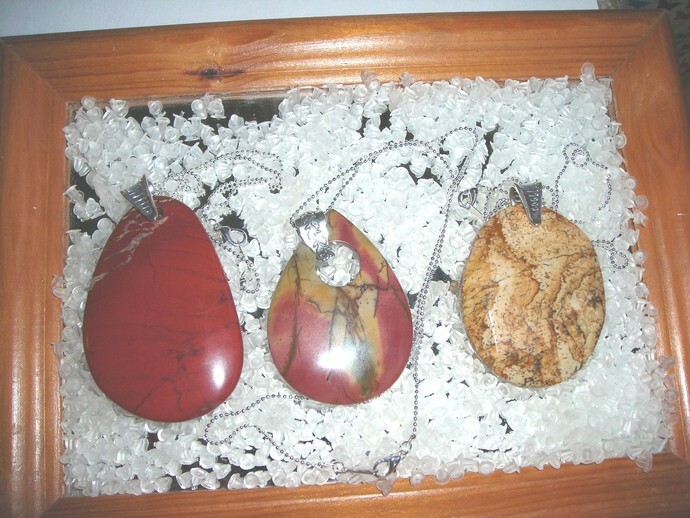 What is unique is that jasper comes in so many variations in gemstones. Bring home this Caribbean Sunset. The warmth, power of red and oranges simply take your breath away. 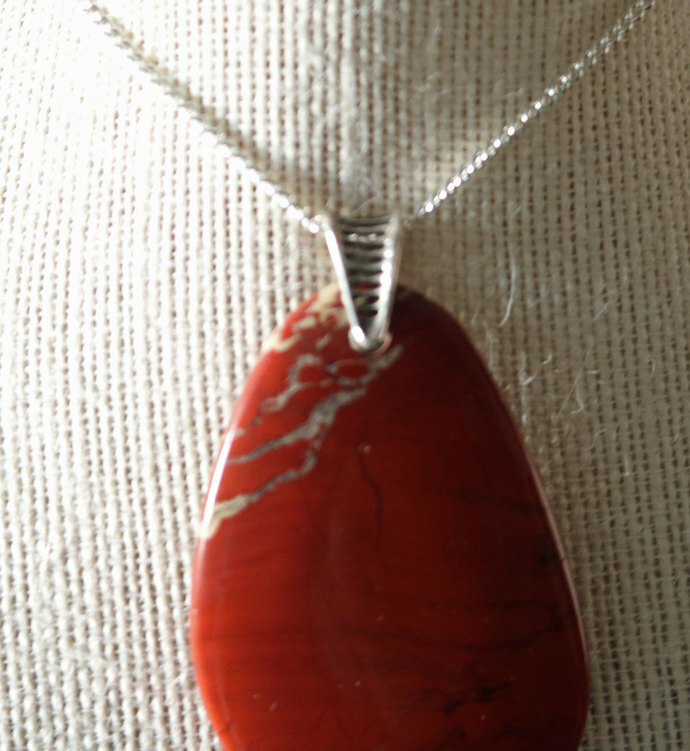 The red jasper oval pendant has a unique patterning effect, the holistic benefits are that the red jasper is very good for energy. At the top left hand size is a beige vein diagonal pattern about 1 inch in length. 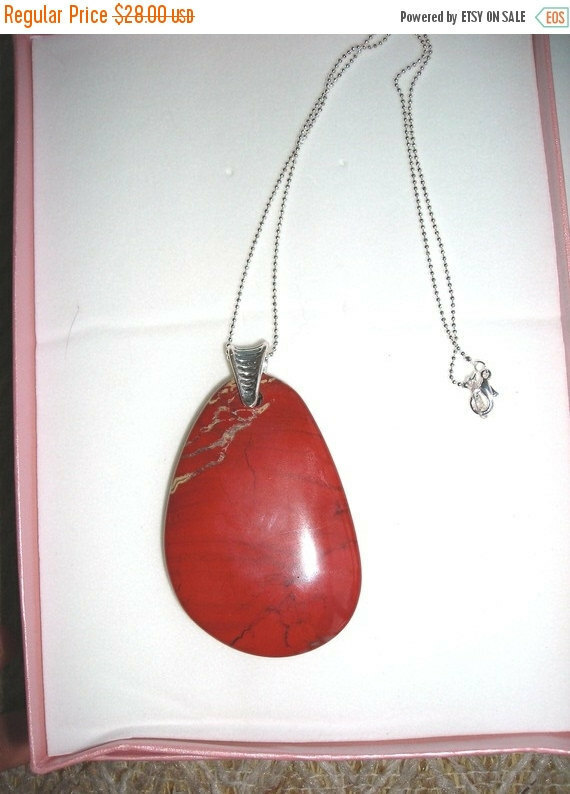 There is a muted dark vein like appearance blushing through the red jasper. It is one of a kind. The pendant is approximately 2.5 inches across at the widest point, by 3 inches in length. The bail is silver and can be described with a 'ladder effect' The pendant is suspended on a 16, the wearable length is 8 inches, with pendant is 11 inches. I am happy to switch out the silver chain for a more casual appearance by using a coordinated Organza ribbon and cord for your liking.